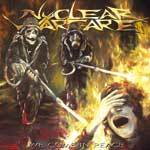 The German Thrash Metal band Nuclear Warfare, founded at the end of the year 2001, is inspired by the 80's metal scene especially bands like Kreator, Sodom, Destruction and Slayer. During their four years of experience, Nuclear Warfare found their own typical sound of Thrash Metal. Since the beginning, they are enthusiastic about their songwriting and their lyrics are the bands thoughts and opinions in an aggressive, critical way. Today, Nuclear Warfare are: Nuke (v), Listl (g), Fritz (b) and Miriam (d). They pursue their dream of playing non-commercial music and performing Live on a regular basis. After heaps of concerts within Germany they also had the chance to play in Belgium, Holland, Italy and Poland. One of the Bands Highlights was the show together with the old stars 'Tankard' at the End of 2003. 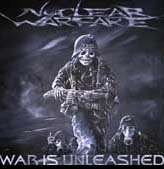 Nuclear Warfare released their first full length Album War Is Unleashed in September 2004 which received excellent reviews from the press as well as from the Thrash Metal Fans. A year after, they released their first 7' vinyl single Dosenpfand muss weg!, a song with German lyrics in the tradition of old Tankard songs. In August 2006 the Band published their second Album "We Come In Peace" with approx. 41 minutes playtime. Again in spring 2007 the four of Nuclear Warfare entered the Studio to record an Mini-EP "Royal Fortune". On this EP there will be some old stuff as well as the two brand new songs "Pirates" and "Convention of Society".